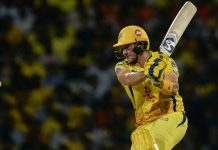 A charged up Sunrisers Hyderabad will have revenge on their minds when they face an in-form Kings XI Punjab in the Indian Premier League in Hyderabad tomorrow. Sunrisers defended a modest 118 against Mumbai Indians last night to bring their campaign back on track after suffering back-to-back defeats. Despite missing the services of injured Bhuvneshwar Kumar, Sunrisers showed their bowling prowess. Pacer Siddarth Kaul and leg-spinner Rashid Khan helped the home team dismiss the two-time champions for 87 on a slow wicket at the Wankhede Stadium to record a 31-run victory. They were, in fact, blown away by Chris Gayle, who had cracked a 63-ball 104. The West Indian T20 exponent has looked in ominous form this season with a hundred and two fifties. However, Gayle had missed the last match against Delhi Daredevils as he was a bit sore and Punjab would hope the opener makes it to the playing XI tomorrow. His opening partner K L Rahul too has looked in good touch scoring 236 runs including two half-centuries. Sunrisers will be again banking on the dangerous duo to give them another flying start while Hyderabad will be focused on dismissing them cheaply. In Bhuvneshwar’s absence, Siddarth and Basil Thampi will have to take the responsibility early on and the spin trio of Rashid, Shakib Al Hasan and Mohammad Nabi will hold the key in the middle overs. “Without a doubt, we were expecting a lot more from our batsmen. Perhaps we could have gotten to 140 mark. A fantastic second half for us, but we are still to put a collective performance together,” he said despite the team winning by 31 runs. Next articleSplitsville for Imran Khan and third wife Bushra Maneka?